The Mariposa dining chairs can be customised to your own personal taste and style. Choose from many different fabric and leathers, beautiul colours, and different leg designs, to coordinate well with your current dining room setting. These stunning dining chairs are suitable for home, office, outdoor or even commercial use. 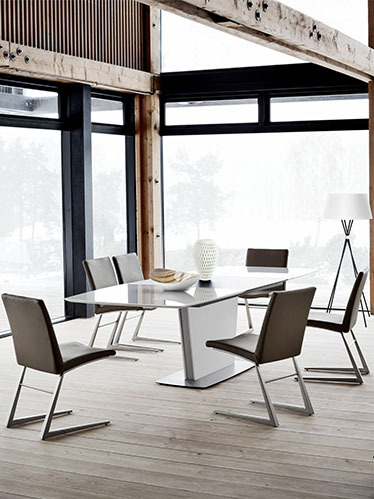 Match these Scandinavian style dining chairs with a modern dining table from our collection. Add a sideboard and create a beautiful dining room for your home.